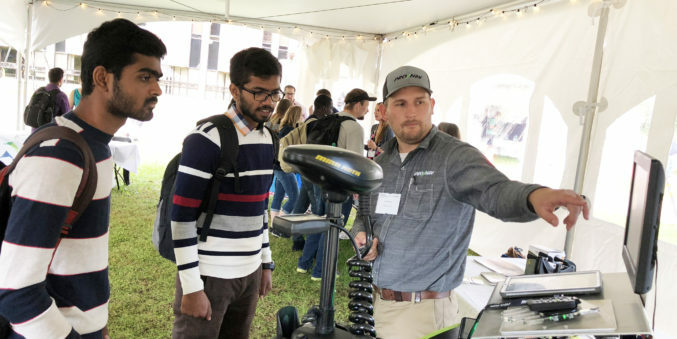 Michigan Tech Career Services invited MTEC SmartZone and several local startup companies to participate in Michigan Technology Day. This event was organized as part of CareerFest. Launched in 2015, CareerFEST is a series of industry-sponsored events and career development workshops held on campus every spring and fall. The startup companies that attended include: ProNav Marine, Silver Bear, Superior Technologies, Arroyo Networks, and TriSight. We talked with over 200 students under the giant tent mid-campus and the startup companies shared their intern/employment opportunities. Thank you to the Michigan Tech Career Services team for making this happen!